This beautiful and tasty salad is perfect in spring, perfect in summer, perfect in fall and even perfect in winter. The smooth soft sweetness of the white balsamic and agave is the perfect base to let the flavors of the garlic and dijon spring forward without being over powering. 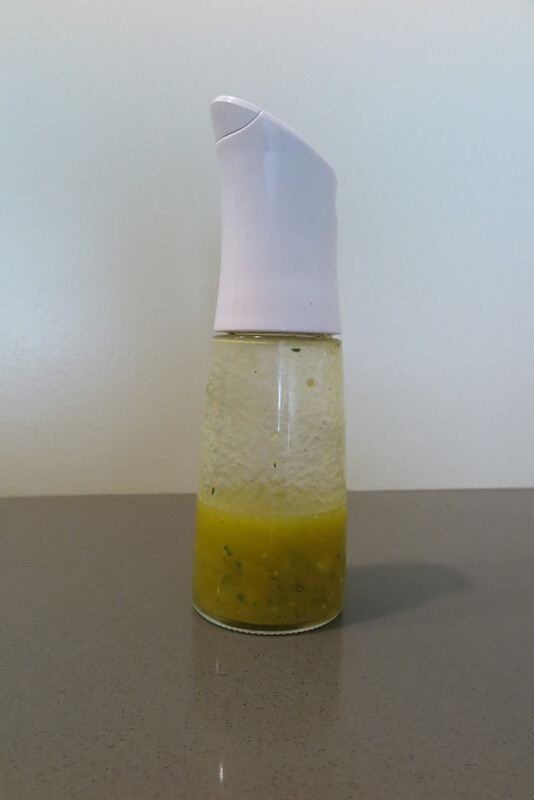 The addition of fresh thyme brings out the flavor of a fresh garden. Add all the ingredients in a jar with a tight lid. Shake to incorporate all the ingredients. 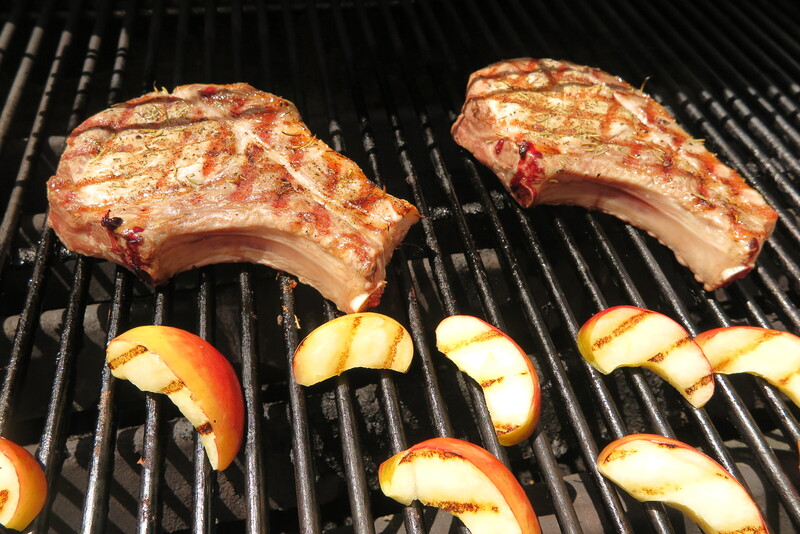 Grilling the Apples: While the pork is grilling, place the apple wedges on the grill. Cook the apples on each side for 1 ½ to 2 minutes. Remove from grill and set to the side. Toasting the Walnuts: Preheat oven to 350 degrees. Place walnuts in a single layer on a baking sheet. Cook for 5 minutes. Cool and set to the side. 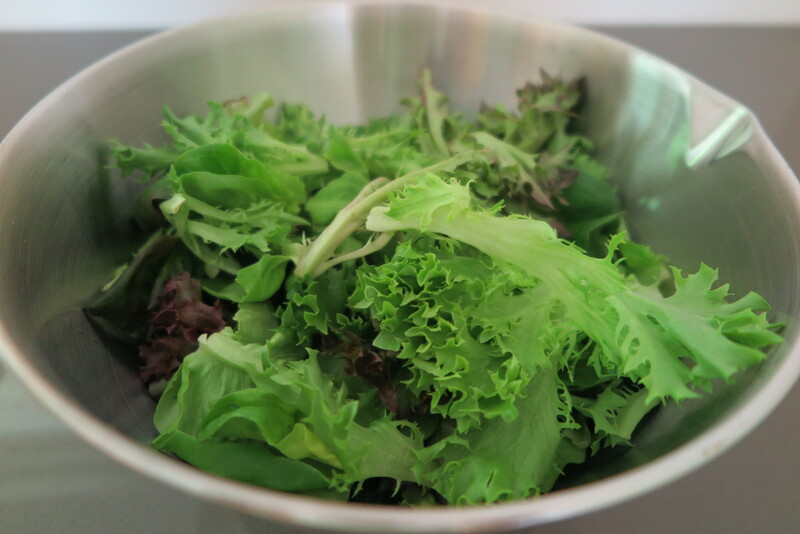 Preparing the salad: Place the salad greens in a bowl. 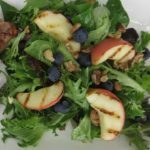 Toss with White Balsamic Vinaigrette (you may have more vinaigrette than you need).. Top with grilled apple slices, blueberries and roasted walnuts. Serve immediately. This is a perfect salad with The Heritage Berkshire Pork Recipe. Not A Note, More of a Confession: I have to say when I came up with this menu I wanted Cannelloni Beans in the salad. A foofoo salad felt a little light and sassy for the rich deep flavor of the pork. The addition of cannelloni beans would give me that bit of substance I was looking for. My confession, rule number one when cooking, get all your ingredients out and measured. I didn’t do that! After I created, cooked, took pictures, cleaned up and wrote a sinking thought came across my mind - I forgot the beans. But please try it with the beans! I will next time and I’m sure it will be luscious.